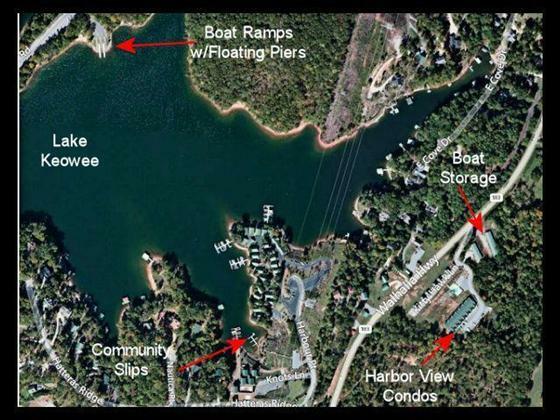 Harbor View of Keowee is a private, gated, lake access condominium and cabin community that offers boat slips, swimming pool & cabana, private dry boat garage, and much more! 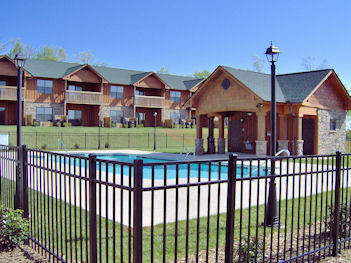 Harbor View is perfect for full-time living, retirement, family vacations and weekend getaways…at affordable prices! Great home for investment or getaway! 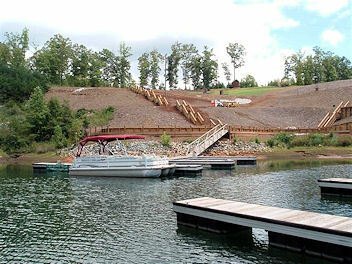 Close to Clemson U., Seneca, Greenville and the mountains of Western North Carolina including the Jocassee Gorges. ALL Furnishings & furniture, even a complete kitchen included! Details & panoramas on Visual Tour. 312-M Kill Devil Hill, Six Mile, SC. Big Blue Ridge Mountain & Keowee views from quality-built, spacious 3 bed, 2 bath upper level condo. 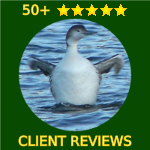 Great investment property w/rental record. Walk-in laundry room. Day slips. Locked indoor boat storage. Community pool has cabana with bathrooms. 312-L Kill Devil Hill, Six Mile, SC.